Porcelain production in the regions of Carlsbad and Falkenau an der Eger has a long history, based on the rich deposits of quality kaolin and other required raw materials like loam and wood. The locations of Elbogen and Grünlas provided not only easy access to these materials but also offered direct access to the railway line between Elbogen (Loket), Neusattl (Nové Sedlo) and Schönwehr (Krásný Jez) which of course allowed easy distribution of finished products as it directly ended at a junction of the main line between Marienbad and Karlsbad. The towns mentioned on this page shifted in influence and are nowadays organized as follows: Loket (Elbogen) consists of the districts Loket, Dvory (Höfen), Nadlesí (Nallesgrün) und Údolí (Zech) while Nové Sedlo (Neusattl) consists of the districts Nové Sedlo, Chranišov (Granesau), Loučky (Grünlas), Jalový Dvúr (Kaltenhof) and Nový Chranišov (Neugranesau). Benjamin F. Hunt jr. had previously been involved in porcelain production as partner of Karl Speck at the ⇒Porzellanfabrik 'Austria', K. Speck & Benj. F. Hunt & Söhne in Elbogen. As that partnership in the end did not deliver the promised results, Hunt slowly reduced his financial activity there and in the year 1901 finally quit company. During the next three years he concentrated on increasing his knowledge, together with his wife Eleonora from 1901 onwards refining their skills on porcelain decorating by running a small decoration studio in Elbogen on a private (non-business) basis. In 1904 he then applied for permission to establish his own porcelain factory in the town of Grünlas after purchasing the former Dampfziegelfabrik Radherr, an abandoned brick factory. Construction of the new factory started in late 1904 after Hunt together with his wife had founded the limited liability company Egerländer Porzellanfabrik Elbogen G.m.b.H..
One should hold in mind that at that time it was highly unusual for a foreigner to get such a permission, however rumors have it that people of great influence facilitated him as the result was thought to bring an international flair to the area which would have helped the Bohemian porcelain industry in its competition with other European manufacturers. Elbogen and Grünlas were neighboring towns, Elbogen itself being better known as the historic main town in that region and a melting pot of all kinds of art movements, whereas Grünlas was the location of the regional registration office and most parts of the industry. This should be mentioned as many people ask themselves why Hunt founded his factory in Grünlas but included the name 'Elbogen' in the company name. On June 15th 1907 the administration of Grünlas gave written approval to Benjamin Franklin Hunt as representative of Benjamin F. Hunt & Sons, Boston for the construction of his porcelain factory - nothing unusual as it was common practice in those times that businessmen received a go-ahead during application while it could take years (cases of five years or more are documented) before the town or regional administration found time to finish all the required paperwork and make it official. Next to receiving permission the factory had finally become operational, resulting in six batches of whiteware from first firings. Hunt however had other problems as his house bank in Boston had turned bankrupt, meaning that he himself became insolvent and was forced to sell the operational but still not complete factory to Ludwig Engel & Sohn in 1908 before returning home to Boston. The new proprietor Ludwig Engel & Sohn, which already owned a porcelain factory in Aich near Karlsbad, kept the 'old' factory name and finished the whiteware remaining from the first firings by decorating them in the still incomplete factory. Production in the factory then ceased and it remained unused until the authorized representative Dr. jur. Julius Heller managed to strike a deal with Rudolf Kämpf from Grünlas (who in 1905 had leased the porcelain factory in Kaltenhof) and his partner and financial backer Rudolf Dieterl, director of the Siemens glass factory in Neusattl, selling the factory including the surrounding plots of land on December 8th 1909. The new proprietors instantly applied for permission to produce porcelain, which was issued on July 21st 1910. Kämpf and Dieterle on September 25th 1911 signed a foundation agreement under the provisional name of Porzellanfabrik R. Dieterle & R. Kämpf. 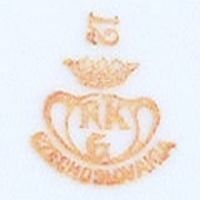 The company and factory itself was then however registered at the trade register as Porzellanfabrik Rudolf Kämpf G.m.b.H., Grünlas in December 1911, choosing a crown above the letters 'RKG' (for Rudolf Kämpf Grünlas) as base mark. Kämpf was an experienced businessman and an expert on porcelain and under his directorship, the factory flourished. He avoided slow sellers and concentrated mainly on dinner sets as well as tea, coffee and mocca services. Following his death on the 19th of March 1918, his share in the company (one third of the base capital) was equally split between his widow Josefine Kämpf, daughter Antonia Kümmelmann (who lived in München-Solln/Bavaria and married the director of the porcelain factory in Selb/Bavaria) and son Hans Kämpf, who advanced to the position as director. Under Hans Kämpf the factory prospered further, allowing expansions in form of an own engine room, a railway siding, a family villa and garages even if the overall sales of porcelain from the area were slowly declining. At that time, 86 percent of total production were made for export to Austria, England, France, Holland, Hungary, Italy, Poland, Romania and the USA; the company also had own storehouses in Amsterdam, London and Vienna. During the years of the Great Depression (1929 - 1932), sales declined rapidly and production had to be cut by half, meaning that the company also incurred significant debts. Worse was to come as the company co-founder Rudolf Dieterle died on January 22nd 1933, leaving Hans Kämpf in the position as director and factory manager. Dieterie's share of the company was split up between his son Arthur (who by then had replaced his father as the director of the glass factory in Neusattl) and daughters Gertrude Schuberth in Graz/Austria, Doris Langhans in Karlsbad and Elfriede Dieterle in München-Gräfelfing/Bavaria. Hans Kämpf was convinced that the factory could be saved and held on, being the first person that appeared in the morning and the last to leave, sometimes even sleeping in his office. The work invested eventually paid off and by 1935, the situation had improved. It was followed by a boom in 1936, not only because the factory had created a new line of items with colored bodies in either blue, green, ivory and pink. Production of decorative porcelain was drastically reduced during the war years, instead the factory concentrated on producing sanitary and hotel porcelain which required less employees and specialists. After the war, the workforce quickly increased to 245 employees. On October 27th 1945, the company was nationalized and became a part of the Slavkovský Porcelán group in Carlsbad until January 1953, when it was integrated into the Bohemia combine. The workforce increased a little during this time, in 1956 there were 224 employees working at the factory. The factory on April 1st 1958 became part of the state-run enterprise Karlovarský Porcelán, run as independent 'plant IV'. Specializing in the production of the simplistic cylindrical shape, the factory in Grünlas worked with distinguished artists which each used various decorative techniques to created a wide array of very pleasing combinations. The Czech government placed great confidence in the company when it represented the Czech porcelain industry at the international exhibition in Montreal; the exhibition turned out to be an even greater success than imagined as the 'Neffertiti' series received an international design award. Based on the overwhelming success, the government decided on new investments in production technology and so the factory received a new deco kiln, engine room and machine workshop while the glazing section and the slip house were modernized. In the mid-1970s, the coal-fired round kilns were replaced by modern gas-fired ones and the company started to produce such legendary shapes like 'Mary Anne' (designed by Jiri Lastoviska) and 'Sabina' (designed by Ales Trpkos). In 1990, a very successful creation was revived. For the first time in decades, the product range once again included items with a pink-colored body, this time in form of the 'Sonata' shape. 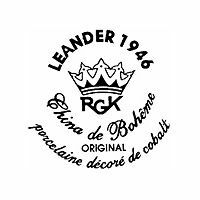 In November 1992 the porcelain factory was re-privatized via a direct sale to the Leander 1946 s.r.o. 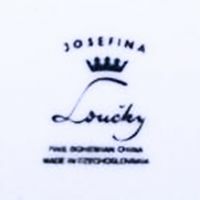 company, which specialized on combining many old and new techniques to create astonishing pieces of art and soon became the world-wide leading producer of art porcelain. For various reasons, the Leander company itself was relatively short-lived, resulting in the factory takeover by the CS Investment holding in 2006. Large investments were made and the whole factory was step-by-step re-equipped during the year 2008, making the factory one of the best-equipped porcelain factories in the Czech Republic. The company started to cooperate with leading international companies, manufacturing exclusive hand-painted porcelain items as marketing items or personal gifts, offering various forms of corporate branding. 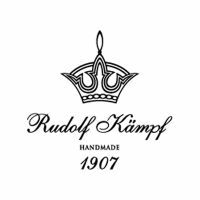 Items created by the Rudolf Kämpf branch gained a strong position on the Middle East market via the exclusive distributor Dunes of Arabia, in Russia through the exclusive distributor Art Market Group, and in the Ukraine through the Rudolf Kämpf Ukraine branch office. In addition, the company opened a few mono-brand stores. 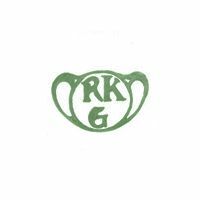 Used between 1912 and 1930, simple green 'RKG' mark. Used between 1918 and 1921, red 'RKG' mark above 'MADE IN ČECHOSLOV.' 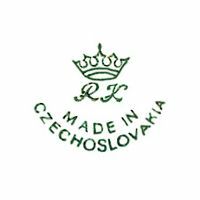 or 'MADE IN ČECHOSLOVAKIA'. Used between 1921 and 1938, red 'RKG' mark above 'CZECHOSLOV.' or 'CZECHOSLOVAKIA'. 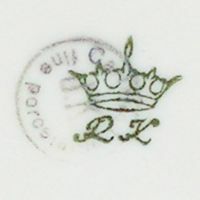 Used between 1918 and 1938, a simple crowned 'RK' above 'MADE IN CZECHOSLOVAKIA'. Used between 1939 and 1945, same as before but without country of origin. Used between 1928 and 1938, crowned 'RKG' above 'CZECHOSLOVAKIA', here in green. 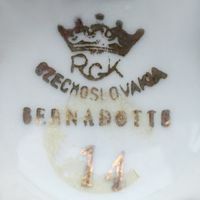 Used between 1928 and 1938, crowned 'RKG' above 'CZECHOSLOVAKIA', here in gold above the 'BERNADOTTE' series name. 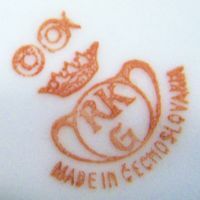 Used between 1928 and 1938, crowned 'RKG' above 'MADE IN CZECHOSLOVAKIA'. 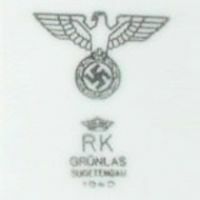 Used between 1940 and 1945, crowned 'RK' above 'GRÜNLAS' and 'SUDETENGAU' (in this example above '1940'). 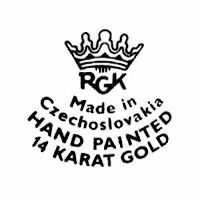 Used between 1945 and 1992, crowned 'RKG' above 'MADE IN CZECHOSLOVAKIA' and 'HAND PAINTED 14 KARAT GOLD'. 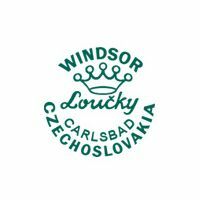 Used between 1945 and 1992, series name (here 'WINDSOR') above crowned 'LOUČKY' above 'CARLSBAD' and 'CZECHOSLOVAKIA'. 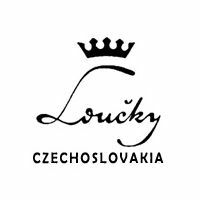 Introduced in the 1980s, crowned 'LOUČKY' above 'CZECHOSLOVAKIA'. Often found with series name above the crown. Introduced in the 1980s, crowned 'LOUČKY' above 'MADE IN CZECHOSLOVAKIA'. 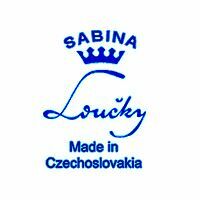 Introduced in the 1980s, crowned 'LOUČKY' above 'FINE BOHEMIAN CHINA' and 'MADE IN CZECHOSLOVAKIA'. 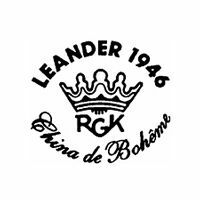 Used between 1992 and 1995, crowned 'LEANDER 1946' above crowned 'RGK' and 'CHINA DE BOHÉME'. 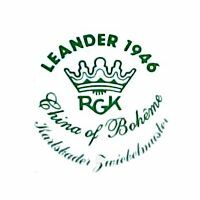 Used between 1992 and 1995, crowned 'LEANDER 1946' above crowned 'RGK' and 'CHINA OF BOHÉME' and 'KARLSBADER ZWIEBELMUSTER'. 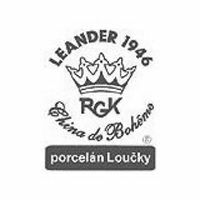 Used between 1995 and 2003, 'LEANDER 1946' above crowned 'RKG' with 'CHINA DE BOHÉME' and 'PORCELÁN LOUČKY' additions. 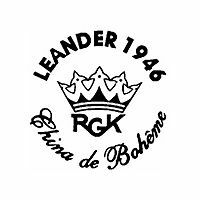 Used between 1995 and 2003, crowned 'LEANDER 1946' above crowned 'RGK' and 'CHINA DE BOHÉME'. 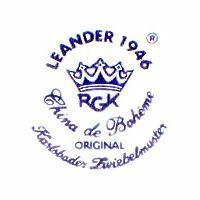 Used between 1995 and 2003, 'LEANDER 1946' above crowned 'RKG' with 'ORIGINAL KARLSBADER ZWIEBELMUSTER' addition. Used between 1995 and 2003, 'LEANDER 1946' above crowned 'RKG' with 'ORIGINAL' and 'PORCELAINE DECORÉ DE COBALT'. 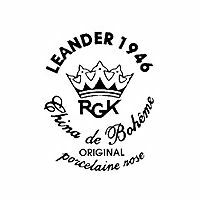 Used between 1995 and 2003, 'LEANDER 1946' above crowned 'RKG' with 'ORIGINAL' and 'PORCELAINE ROSE'. 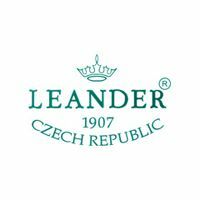 Used between 2003 and 2006, 'LEANDER' above '1907' and 'CZECH REPUBLIC'. Used since 2006, the 'RUDOLF KÄMPF' company logo.